A range of appointment times are available for our GPs, Advanced Nurse Practitioner and Nursing team; Monday – Friday 8:30am to 6:00pm. 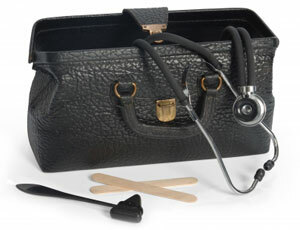 Online: You can book GP appointments on the internet at www.patient.co.uk – please ask a member of staff for details. Telephone: Ring our main switchboard number on (01670) 829889 to book an appointment at our main practice. If you live in the Cambois area you can book an appointment at our branch site there, telephone (01670) 823917 - Open Monday to Friday 9.00am – 11.30am. Acutely unwell children who may need to see a GP. We encourage patients to come to the surgery when we are open instead of accessing other services such as walk in centres and A&E. If you feel you need to be seen on the day we would advise you to ring the surgery ideally before 11am. The receptionist will ask you for some details with regards to your problem, this is to try and help deal with your call in the most efficient and effective way. You will be placed on a triage list and a member of our clinical team will call you back. If an appointment is required then they can book this for you. We request that you do not use the telephone triage system for ‘Fitnotes’. 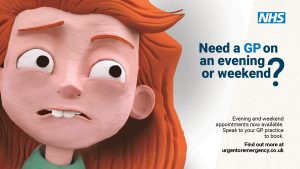 If your condition is non-urgent and/or you would like to see a particular GP then you can book a routine appointment. 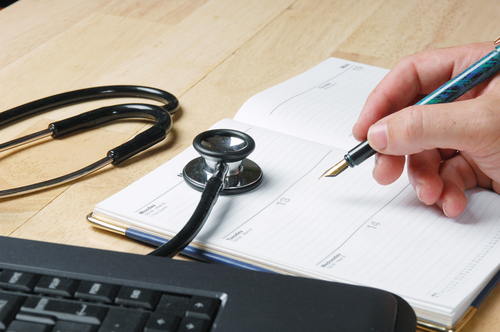 We use a system that allows routine appointments to be booked up to three weeks in advance. We now offer routine telephone appointments with a GP where appropriate. Please speak to a receptionist for advice to see if this applies to you. For continuity of care we would recommend patients to book follow-up appointments with the same GP wherever possible. (We are only open 1 in every 4 Saturdays, for dates please speak to a receptionist). When you book an appointment the receptionist may ask you what the problem is. The receptionist is not trying to be awkward or nosy but merely trying to find out what the most appropriate course of action is to take in order to deal with your call in the most efficient and effective way. On many occasions we find that appointments are booked with a doctor when a telephone consultation may be more suitable or an appointment with the nurse or health care assistant may be more appropriate. Due to lack of information at the first point of contact means we can't help the patients more efficiently or effectively and we as a practice are trying to avoid any unnecessary use of doctor appointments and minimise inconvenience to you, our patients. We understand that not all patients will feel comfortable disclosing information regarding their problem with the receptionist and if you do not wish to that is fine. Please note: all appointments are a maximum of 10 minutes in duration. If you have more than one problem to discuss, please consider booking a double appointment. We can arrange the necessary interpretation and translation services in person or by phone for patients who may require British Sign Language or for patients for whom English is not their first language, or. Please let us know if you require this service when booking your appointment as we will need advance notice to book. At times there may be university students present within your consultation. They will spend several weeks with us in order to gain the experience they need to become family doctors. You will be informed if there will a student present before your consultation and asked to complete a consent form. If you do not wish a student to be present you have the right to opt-out. Telling us if you are in a telephone box. We will ring you back. Say immediately if your call is an emergency. Letting us know if more than one person in the family needs to be seen. We can give you a longer appointment if necessary. If you wish to discuss a private matter please inform a member of our reception team as we do have a private room available on request. You will receive confirmation of your appointments via text if you have provided us with your mobile telephone number. We may also contact you with targeted information related to your health and well-being, if you wish to opt-out of this service please advise a receptionist. Home visits are specifically for patients who are too ill, or physically unable to attend the practice. Our doctors typically see four patients in the practice in the time it takes to do a single home visit. For this reason, we ask our patients to come to the practice if at all possible. However, we can visit you at home if your condition means you cannot attend one of our practices. Please ring before 11am if you feel you require a home visit and let us know if your condition is urgent. The receptionist will request details of the problem in order that they may pass this on to the doctor. A doctor will then phone you back to assess your medical needs and may visit on the same day, or at a later date depending on clinical need. We now offer Extended Access appointments within the Central Hub. As part of a new contractual requirement all patients registered at a GP practice must be allocated a named accountable GP. The named accountable GP will take responsibility for the co-ordination of all appropriate services required under the contract and ensure they are delivered to each of their patients where required (based on the clinical judgement of the named accountable GP). All patients (including children) are allocated a named GP - you may be informed of who this is at your next visit, or you can ask a receptionist at any time. Please note this does not mean you can only see your named GP. You may continue to see any GP at the surgery. If you wish to change your named GP then please let us know and we will make reasonable efforts to accommodate your request. Your named GP may change during any long term leave (such as maternity). If a GP or another member of our health care team believes you need hospital treatment or specialist care elsewhere, they will ask you where and when you would like to go and they will refer you. If you would prefer to have some time to think before deciding where and when to have treatment, you will be offered the option of calling the practice at a later date to confirm your preference. Evidence that you are sick - If you are sick for more than seven days, your employer can ask you to give them some form of medical evidence to support payment of SSP (statutory sick pay). Your employer can ask you to confirm that you've been ill. You can do this by filling in a form yourself when you return to work. This is called self-certification. Statement of Fitness for Work - ’Fit Note' - The 'fit note' was introduced on 6 April 2010. With your employer's support, the note will help you return to work sooner by providing more information about the effects of your illness or injury.